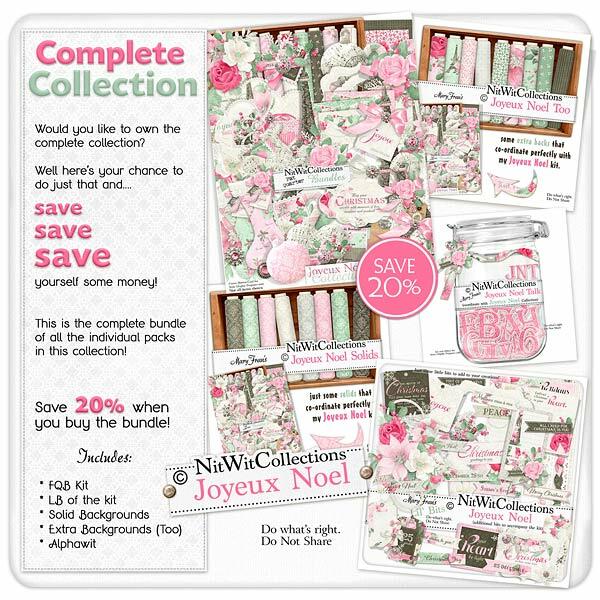 FQB "Joyeux Noel" Collection presents you with a romantic digital Christmas kit that will be sure to fill your heart and mind with creativity! The beautiful colours of pink, grey and green blend wonderfully with the elements and background papers to whisk you away to that feeling of Christmas in Paris. The Eiffel Tower decorated with Christmas accoutrements, the faint sheet music showing through gorgeous Christmas floral arrangements and the hearts with lace surrounds are the perfect luxurious Christmas elements! Take this wondrous creative journey and bring a little chic into your house and creations this Christmas.